If there was a mechanism that allowed you to gauge your financial health, would you want to make the most of it? That is precisely what your net worth provides; a deep look into the reality of your financial circumstances. This post looks at the average net worth by age. However, that number alone doesn’t always provide enough value. While working to improve your net worth is still wise regardless, understanding how you compare to your peers adds something new to the equation: a potential source of motivation. It’s not that knowing how you compare to the average net worth across all ages isn’t beneficial. Sometimes it’s nice to see where you stack up among everyone in the US. However, when you examine average net worth by age, there’s a little more context. You can more accurately see how you compare to your peers, and that may make setting realistic goals easier. To put it simply, net worth is a dollar amount that represents the total value of your assets minus your liabilities, or debts. It can be either positive or negative, depending on whether you have more in assets or in liabilities, and fluctuates with every financial move you make. Your assets include your investment and retirement account, home and other properties, vehicles, bank accounts, valuable items like art and jewelry, and more. Your liabilities include all of your debts including everything from mortgages to credit card balances to back taxes. By calculating your personal net worth, you are in possession of a powerful metric. It is a dollar amount you can monitor over time, allowing you to check in on your financial health. 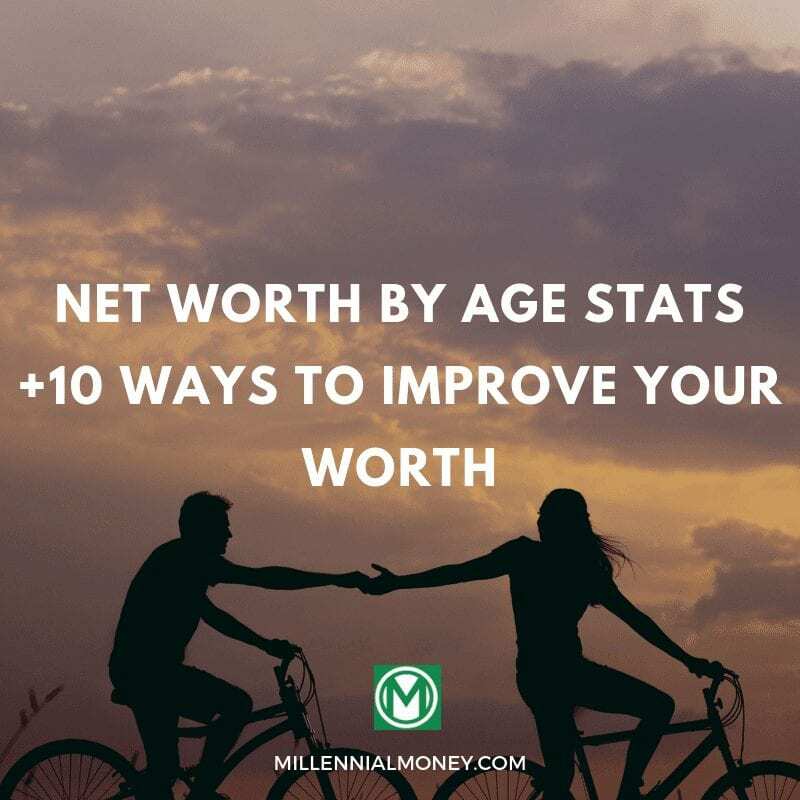 Plus, you can compare your net worth to others in and outside of your age group, giving you the ability to see how you stack up against your peers and everyone else. What is the Average Net Worth by Age? The folks at the US Census Bureau do more than just track the population; they collect tons of other data too. Other helpful tidbits that find their ways onto their surveys also provide insights into the average net worth. Since the US Census Bureau collects information about a person’s age and their net worth, it’s easy to see where each age group falls, making comparisons easier. As one would expect, net worth usually grows with time. After all, many people’s retirement accounts expand until they begin withdrawing funds, people typically buy higher valued homes while they are middle-aged, and income potential usually increases with experience. However, the data is also a bit shocking. After all, most people have heard that they need $1 million (or even $2 million) set aside for retirement at a minimum to be comfortable in their later years, and those amounts showcase just how many people likely fall short. By monitoring your net worth, you can make sure you are financially healthy. And, by working to improve it, you can make your financial goals a reality. 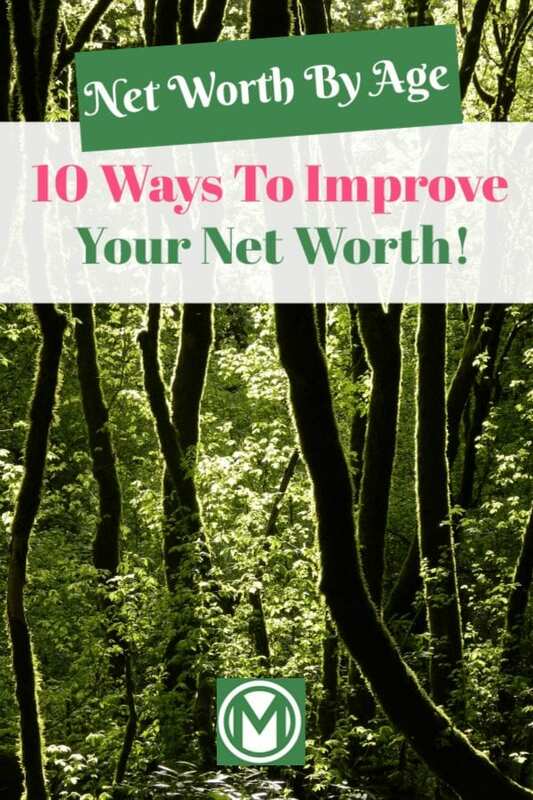 While enhancing your net worth may seem like a daunting task, it doesn’t have to be. Here are ten ways you can get started today. If you want to improve your net worth, then a mentality shift may be in order. You may need to reexamine your everyday financial choices depending on where you are today, and that isn’t always easy. For example, you may need to embrace frugality, forgo little luxuries, or put off a purchase or vacation because you would have to use credit to make it happen. Your net worth can only grow if you increase your assets and reduce your liabilities, and that may require sacrifice. Without a net worth mentality, making these hard choices might be impossible, so you need to adopt a mindset that prioritizes building your net worth if you are going to succeed. You can’t monitor your net worth if you don’t know what it is today. While you can certainly do the math yourself, this isn’t always convenient, especially if you have a lot of accounts. Luckily, there is a better way. Tracking your net worth with Personal Capital is an easy way to get started. 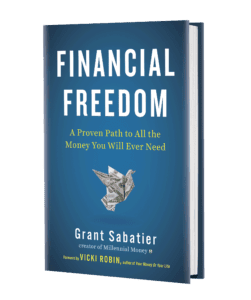 You gain access to a wealth of helpful tools that can make taking control of your financial life simpler than ever before. Both your credit score and report are critical components of your financial life. They determine your eligibility for a range of financial products as well as the interest rate you’ll end up paying. When you monitor your credit, you empower yourself to make smarter decisions about money and debt. If you want to monitor your credit for free, then Credit Sesame is a great option. Not only can you see your score every month, but you also get personalized recommendations designed to improve your financial situation. When you add new streams, you not only diversify your income but also create opportunities to build new skills and potentially reach greater levels of professional success. Choosing a side hustle that offers you flexibility and income-generating potential, like starting a blog through Bluehost, can be the key to bring in extra money and even providing yourself with more financial security. Whether you decide to save, invest, or use the cash to pay down debt depends on your goals, but every dollar can make a difference when you want to improve your net worth. An emergency fund provides you with a financial buffer against the unexpected. Whether it’s a surprise medical bill, car trouble, or an appliance failure, you don’t have to resort to adding new debt to handle the situation. If you build your emergency fund with Radius Bank’s Hybrid Checking, you make sure your money is always working for you thanks to the generous interest rate. That way, your emergency fund grows over time instead of just sitting there stagnant. Since debt is a financial liability, it harms your net worth. By focusing on paying down your high-interest obligations first, you not only improve your net worth but potentially save yourself a ton in interest. 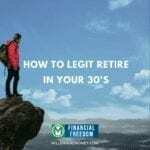 Plus, the less money you have going out to pay down debt, the more you can save and invest, giving you another chance to secure your financial future. A healthy retirement plan is at the core of your overall financial well-being. By optimizing your 401(k) with Blooom, you receive personalized reallocations that improve the performance of your account. And, when your retirement count is working to the max, it grows faster, allowing your net worth to rise right along with it. Investing can be a great way to bolster your net worth. Your money can usually grow faster than it would in traditional savings accounts, but its also more accessible than if you stash it away for retirement. Today, there is a slew of easy-to-use apps to help you get started. Options like Acorns and Stash make micro-investing (investing by socking away small amounts – like spare change – frequently) a breeze, while Betterment, a leading robo-advisor app, allows you to take a “set it and forget it” approach to reaching your investment goals. If you haven’t received a raise or promotion recently, then it may be time to ask for one. As long as your request is reasonable and aligns with salary norms in your field and location, there is little harm in asking. Before you broach the topic, do a little research and come armed with evidence that showcases your value as an employee as well as what the average pay rate is for similar professionals in your city. This gives you the best chance of making a solid point, increasing the odds your employer will say yes. Since your income plays a big role in your net worth, pursuing a raise when one is deserved is a smart move. After all, many companies aren’t going to increase your pay without a catalyst, so consider being the spark that leads to better things. A natural disaster can wreak havoc on your financial life if you aren’t protected, so make sure you have the right amounts and kinds of insurance coverage for your home, personal property, and vehicles. While you send money out the door in premiums, it beats having to potentially pay for thousands of dollars in major repairs or replacements out of pocket, as well as legal bills in cases involving liability. Ultimately, knowing how you stack up compared to the average net worth and striving to improve your each and every day, you position yourself to have the best financial future possible. Start using some or all of the tips above today, and see if your personal net worth doesn’t start heading in the right direction. Of course, these are just the averages. As you say, anyone destined for FI will need to save quite a bit more I suspect! It is a sad state of affairs if those are our averages. I began tracking my net worth at age 21 and now at age 34 (still in the first age-band) I have a net worth that exceeds the entire table. Oddly I still feel I could have done so much more and avoided a bunch of costly mistakes over the years.